It’s that time of the year again in Dallas—spring! And with that comes warm weather, outdoor fun, and, our personal favorite, budding flowers. 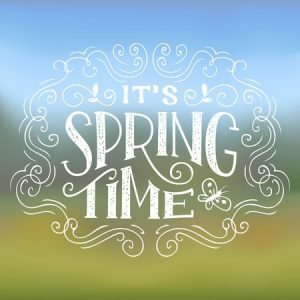 We cannot wait to see what this spring has in store for us, but you can start enjoying the springtime bliss that Dallas is famous for, sooner rather than later. We love this event (which lands on Saturday, April 7th, this year) because it’s dedicated to what spring is all about: nature’s beauty. During the community cleanup in the morning, volunteers and visitors can help beautify the streets of Flower Mound. Around lunchtime, volunteers are welcome to enjoy a free lunch from In & Out Burger, followed by kids’ activities, electronics swaps, and free shredding services. It’s time for that spring cleaning anyway, right? On the weekend of April 15th this year, one of the most cherished festivals that Dallas has to offer returns: the Turtle Creek Spring Arts & Craft Festival. That’s when the tranquil green space right off of the Katy Trail opens its doors to the beautiful, diverse works of over 100 artists and artisans from the surrounding area. Visitors can enjoy the best local food trucks our city has to offer, and see live artist demonstrations. We’re counting down the days! That same weekend of Turtle Creek, be sure to check out this spring celebration over in Rowlett, too! Sponsored by the World of Merchandise, visitors can shop with local vendors, play games, and win free swag for the whole family. Food is also available for purchase, and there’s plenty to do for kids, with face-painting and animal rides. It’s fun for everyone! This spring, Dallas is the place to be. 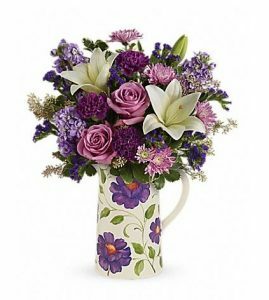 But what would spring here be without a fresh bouquet from Dallas House of Flowers? Contact us today to start off the season strong!